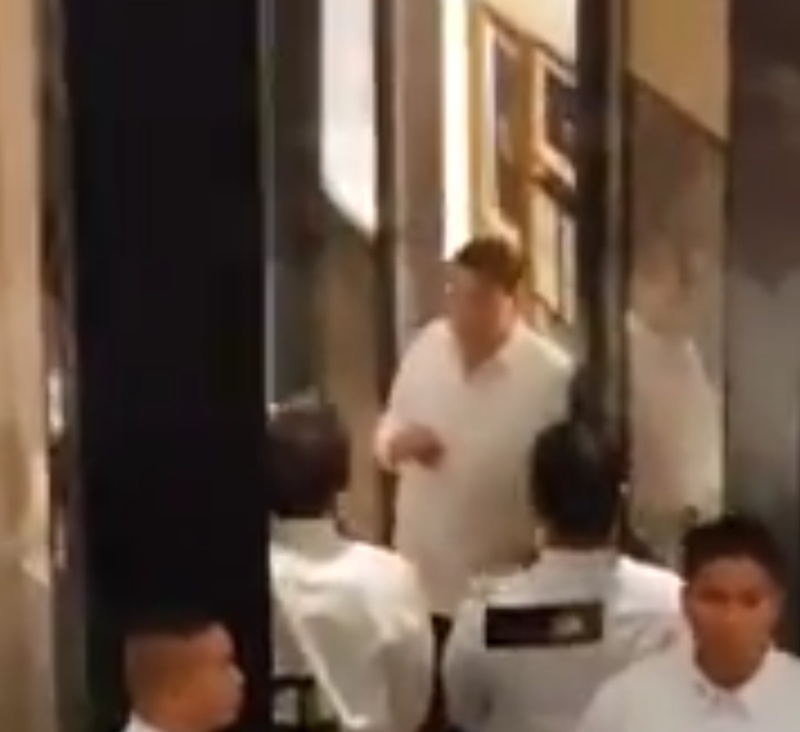 Shoppers spotted Philippine President Rodrigo Duterte at the posh Greenbelt Shopping Center. A video uploaded by TV producer Daphne Osena Paez onto Twitter captured the moment. Images above and below are stills from that video. 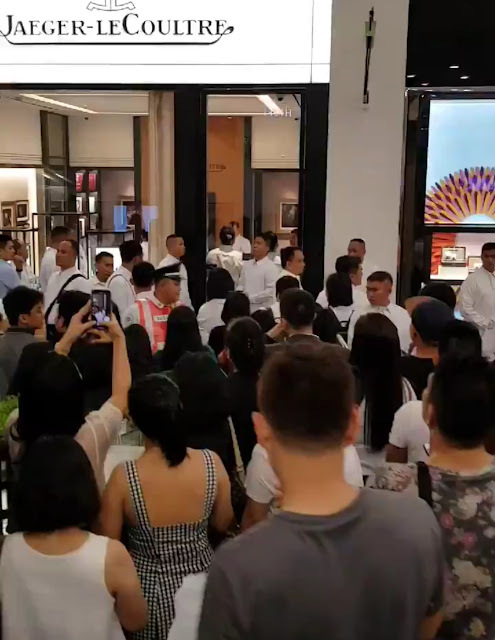 The video was taken from an ascending escalator. Surrounding women can be heard in the video swooning and calling out "Hi Mr. President!" 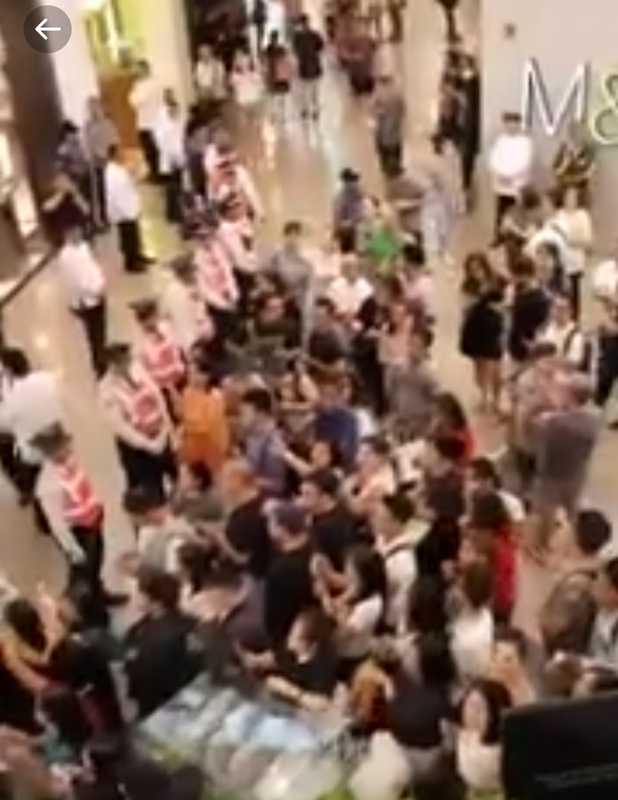 Video pans to the right at the top of the escalator showing a gathered crowd being held back by security. Watch the video on Osenas's Twitter post here.